There are normal and abnormal sounds that all toilets will make. Being able to identify distress sounds coming from a toilet will allow owners to fix small problems before they get big. One noise to be aware of is gurgling, which sounds like empty bubbling. You may be familiar with the sound because it is similar to the sound a stomach makes while intestines are digesting food. Stomach gurgling is typically considered a sign that the digestive tract is properly functioning, where as gurgling in a toilet is an indication that there is a growing blockage somewhere in the sewer line. 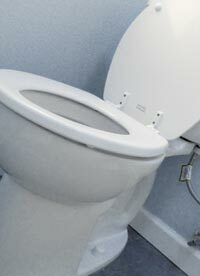 If you hear gurgling noises coming from your bathroom, it is ideal to call for plumbers in NYC. A sewer line can clog as a result of a natural and human error. For instance, roots of trees are sometimes responsible for damaging pipes and creating blockages. Problems can also arise from inside the home, so it is important to monitor what does and does not go down drains. If the problem is not occurring in the sewer line, the problem can be a result of a blocked vent stack.A vent stack is a pipe that comes out through a roof and is connected to the plumbing system. If the vent is blocked, it will alter the airflow in the plumbing system negatively. The gurgling sound associated with this problem is caused as a result of air trying to escape the system. As soon as you notice bad sounds in your bathroom, you should reach out for help. If you need a plumber in NYC, give us a call. We are trained in all areas of plumbing, and so we can fix any problem.